The French Commission for Lighthouses was established on April 29, 1811. 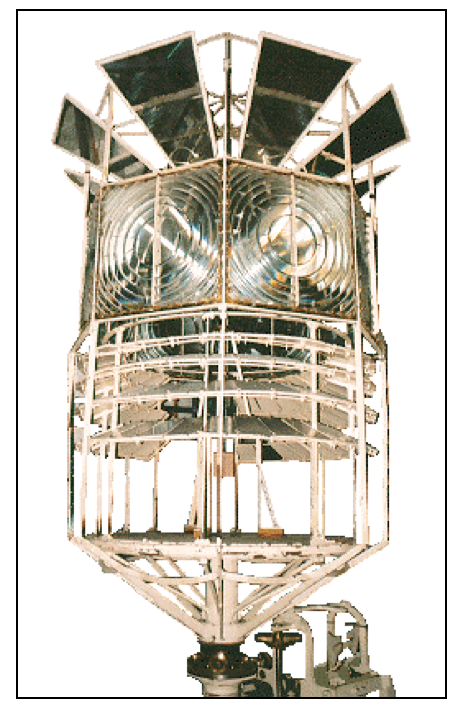 In 1819, Arago who had become a member of the French Commission for Lighthouses in 1813, offered to make a systematic review of possible improvements in lighthouse illumination. He requested that Claude Mathieu and Augustin Fresnel be assigned as his coworkers on the project. His request was granted on June 21, 1819, and Augustin agreed to serve on the committee. 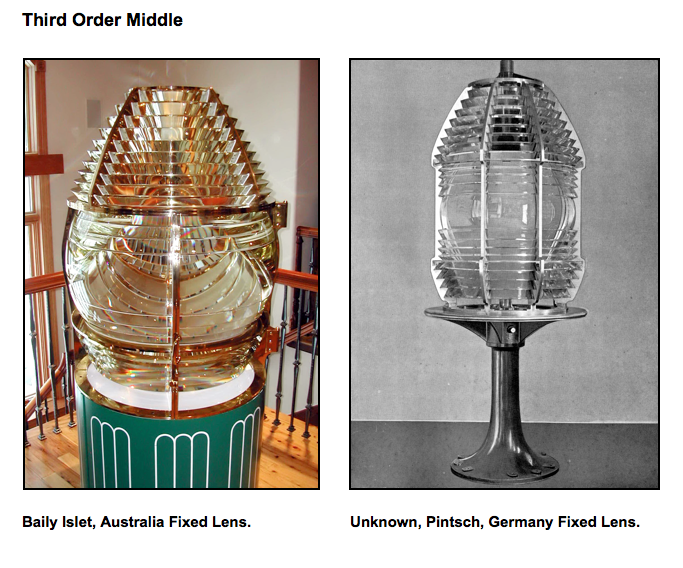 Augustin produced his first report on optics and lamps for lighthouses on August 29, 1819, just two months after starting to work on the project. He began his report with a complete analysis of the design of the reflectors then in use. 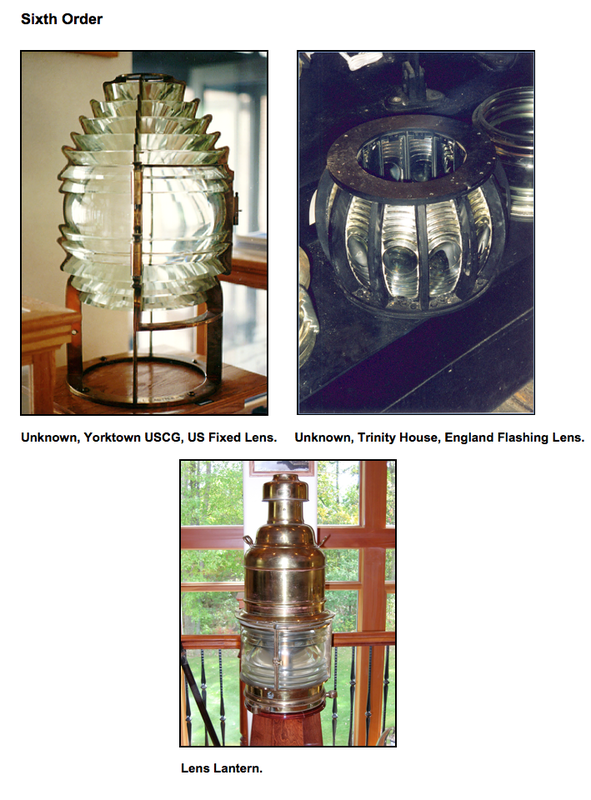 He followed with a proposal for the use of glass lenses to replace the metal reflectors, and for the use of a single large Argand style lamp with concentric wicks to replace the multiple single-wick lamps needed with reflectors. 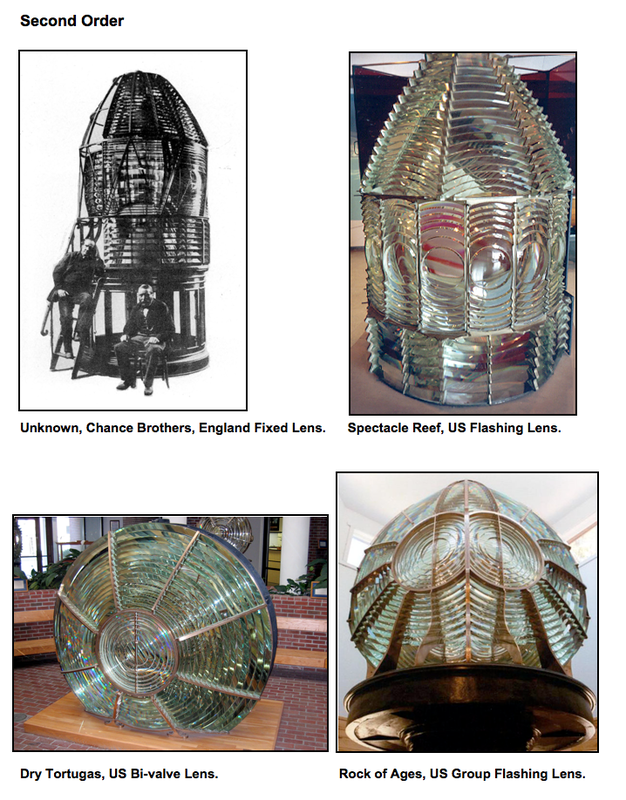 The first use of lenses in lighthouses had occurred in England, in the late 1700s, and in America in 1810, but all had been failures due to the loss of light from the thickness of the glass in the lens and due to the poor quality of the glass itself. 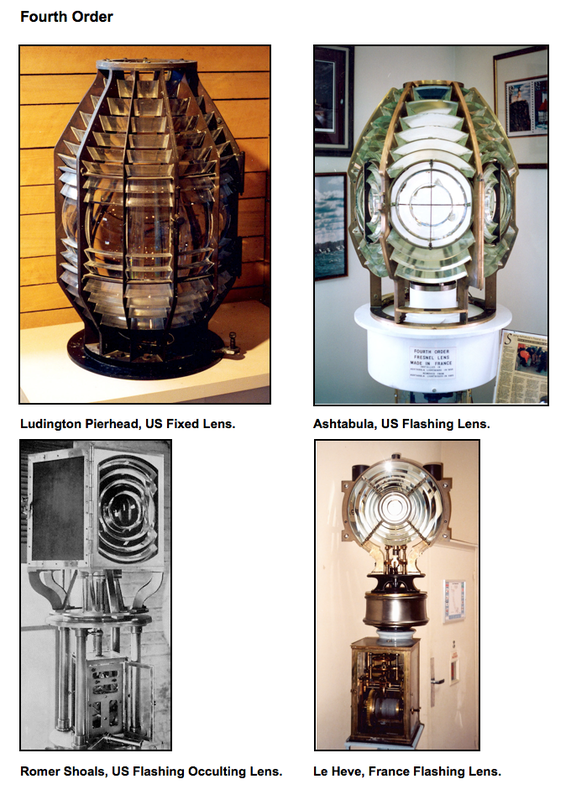 These lenses were also excessively heavy due to the thickness of the glass. 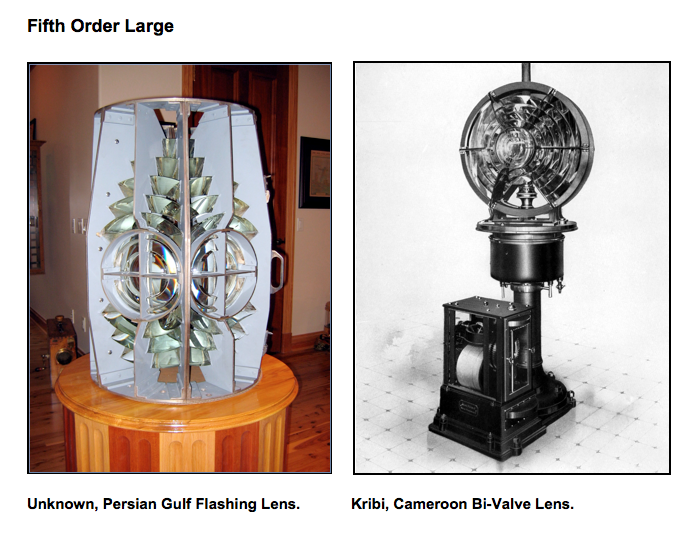 In order to solve the weight and thickness problems, Fresnel’s lens proposal drew upon the designs of Buffon and Condorcet, although Fresnel was totally unaware of their proposals at the time. These designs were proposed in the 1700s, but never constructed because it was not technically possible to grind the single piece of glass as required by Buffon or to make the one-piece rings proposed by Condorcet. After Augustin’s design was complete, he was informed that Buffon and Condorcet had previously proposed similar designs. 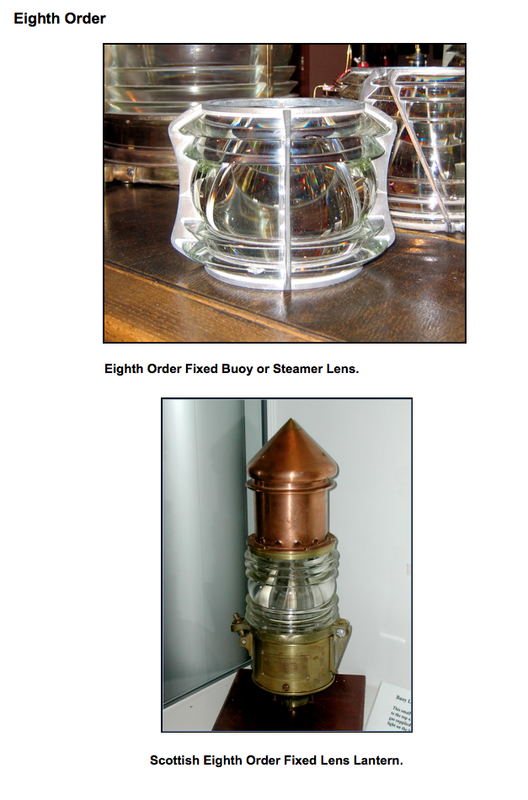 During 1822, Augustin worked on completing his design for a flashing lens using eight of his circular bull’s-eye flash panels. Each of the bull’s-eye panels refracted (deflected) the light in both the horizontal and vertical directions, forming beams of light. 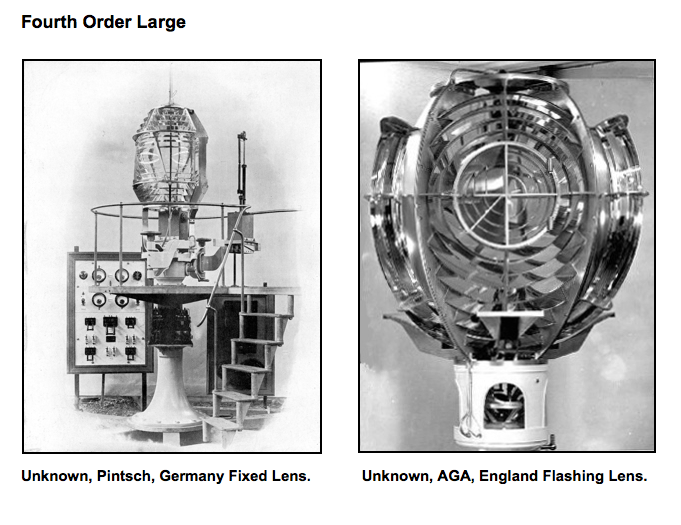 The light from each bull’s-eye lens panel, lit with a four-concentric-wick lamp, was determined to be equal to three and one-quarter of the best 31-inch reflectors then in use. 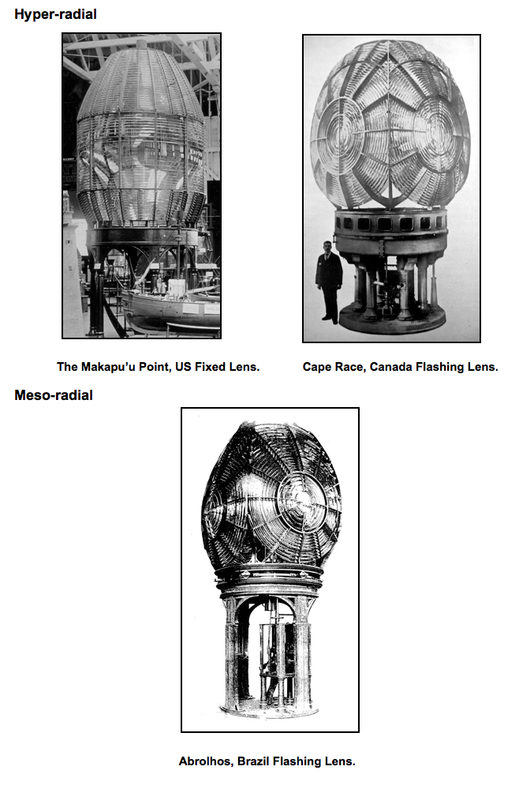 In addition to the bull’s-eye flash panels, he added eight small trapezoidal lens panels, placed at a 25-degree angle, above and behind the bull’s-eye flash panels. These lenses collected the light above the burner and directed it onto eight large flat mirrors placed at an angle to reflect the light horizontally above the main bull’s-eye panels. 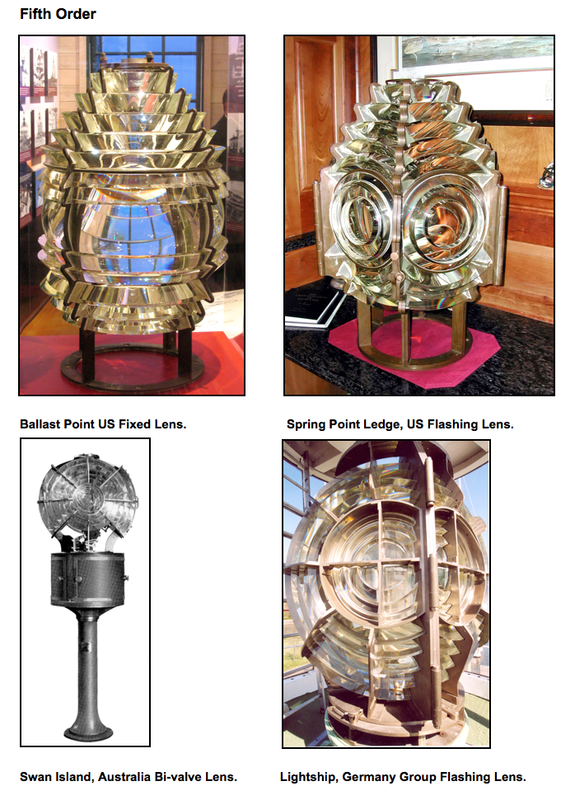 The trapezoidal lenses and upper mirrors were designed to collect the approximately one-forth of the light from above the lamp burner and to increase the duration of the flash, as seen by the mariner, by about double that of the flash from the main lens panels alone. 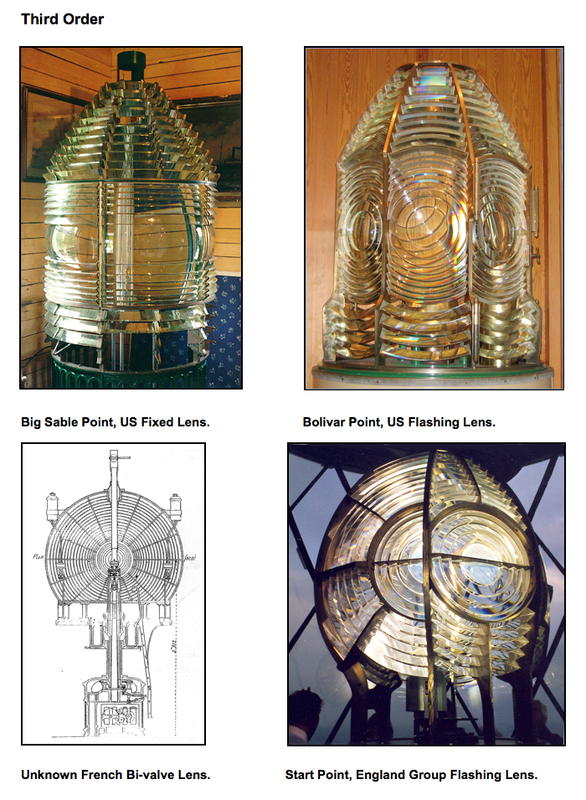 He also added four rings of small mirrors below the main bull’s-eye panels, to collect light below the burner and direct it horizontally and to the near vicinity of the lighthouse. The mariner would see a long dark period followed by a brilliant flash of light and another dark period, etc., as the lens revolved on its axis. 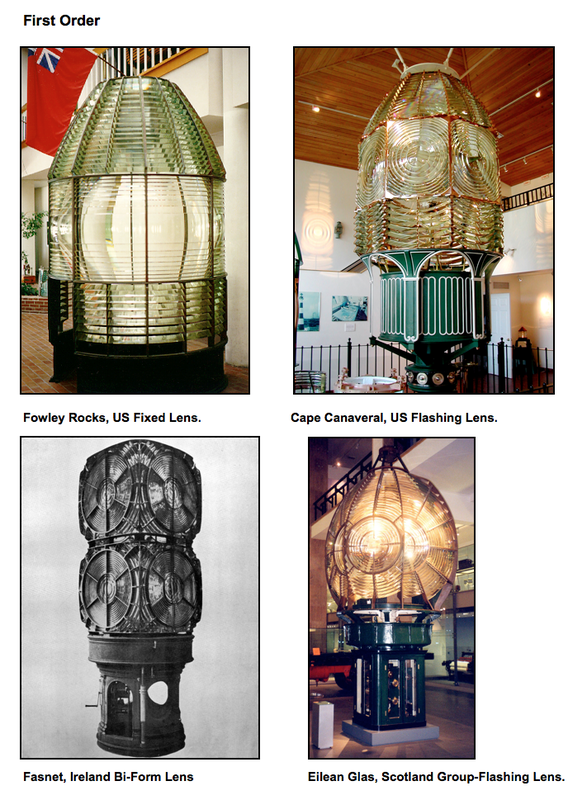 Augustin created several other forms of lighthouse lenses after his design of the first revolving, first-order lens. He took the basic design of his bull’s-eye flash panel, revolved it around its vertical axis, and created the first fixed lens in 1824. This design was made from 12 vertical panels formed in a circle. He continued to use mirrors, both above and below the main lens belt, and small lenses set at an angle above and below the lamp to direct the light unto the upper and lower mirrors. The main panels in the fixed design collected the light from the lamp and refracted (bent) it vertically into a horizontal beam. The beam was aided by additional light directed in the horizontal direction from the mirrors. The fixed lens directed light in a flat disk shape, in a complete 360-degree circle. The mariner would see a constant light. 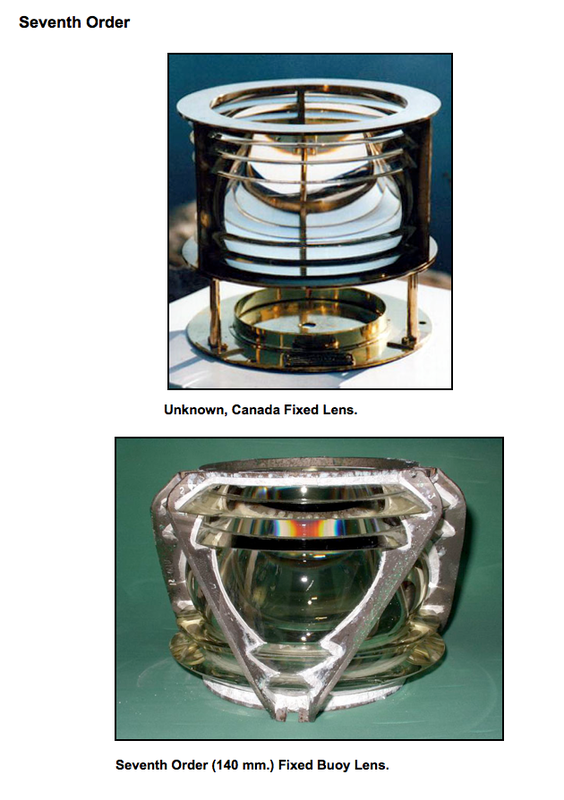 The fixed lens design was further modified in 1825, when Augustin added a set of revolving flash panels to create the first fixed/flashing lens. The fixed lens directed light in a flat disk shape, in a complete 360-degree circle. The revolving flash panels refracted the light from the fixed belt horizontally creating two to four horizontal beams of light. 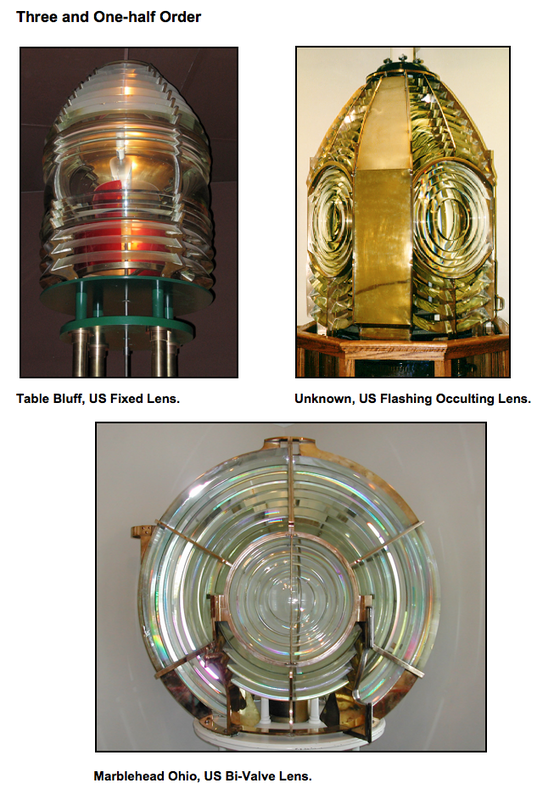 As the flash panels revolved around the fixed panels, the mariner would see a fixed light followed by a brilliant flash of light from the flash panel’s beam followed by a fixed light again. 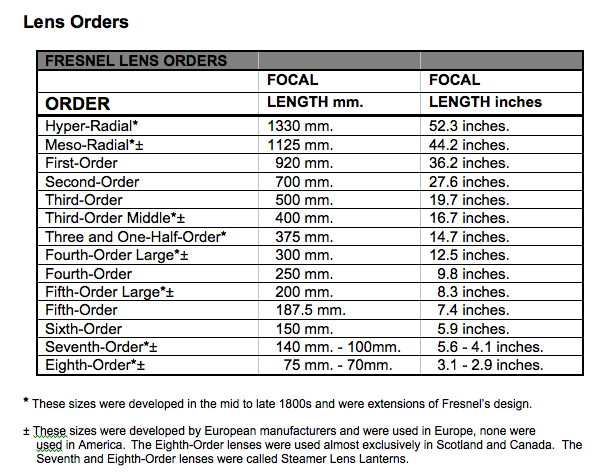 Fresnel lenses came in various sizes (orders), from the largest, the Hyper-radial, to the smallest, the Eighth order, as outlined above.